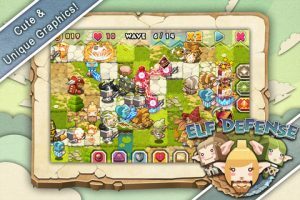 Published by Jellyoasis inc, Elf Defense is a highly-polished tower defense game with bright crisp graphics and challenging, addictive gameplay. 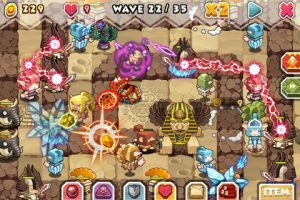 Elf Defense is a traditional tower defense title in the sense that there is a defined entry and exit point for the enemy on each level, as well as a set path which you need to defend. That’s about where tradition ends though – the game is an entirely original offering, with its own unique units, upgrades, special abilities and more. The first thing you have to learn in Elf Defense is how to build your defenses. Intuitively, you simply tap on an empty square to place a tower, and once placed, you can tap it again to upgrade it. Tapping on a tower at any time shows you the cost to upgrade that tower to the next level, as well as its sale value. You start out the game with two basic units, Samson, who throws stones at the enemy, and Icer, who casts ice spells to slow enemy movement. As you progress through the levels, you’ll unlock new ‘colleagues’ who add new firepower to your arsenal. The Bomber damages multiple units at once with a powerful explosive, and the Sharpshooter who shoot arrows at flying enemies. During the game, killing enemies earns you Golden Seeds, which are then spent on new towers and upgrades. Elf Defense also features special Mercenary units that have unique abilities, such as increasing all towers attack speed, or attack power for a limited time. There are multiple waves of enemies in each level, each more challenging than the last. Every wave has at least one boss to push your defenses to the limit. If an enemy makes it through your lines to your home base you lose a life. Lose enough lives and its game over. Elf Defense features a number of items which extend your defensive abilities beyond just towers. Items such as time bombs, poison and shock balloons can be accessed by tapping on the item in the tool bar at the bottom of the screen and dragging it onto the map. 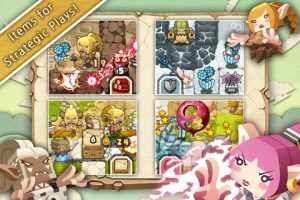 You can purchase new items with Holy Leaves, which are earned by destroying enemies and winning games. Holy Leaves can also be used to upgrade the base stats on your towers through the upgrade shop in the Main Menu. 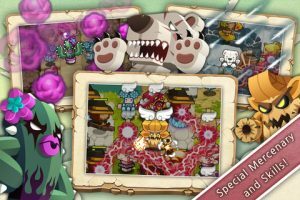 With 100 levels spread across multiple highly-detailed environments, Elf Defense is guaranteed to keep you coming back for ‘just one more game’. 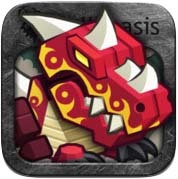 Elf Defense is compatible with iPhone, iPod touch, and iPad. Requires iOS 3.1 or later. A small expedite fee was paid by the developer to speed up the publication of this review.